Limiting salt intake is one of the important things to prevent and treat high blood pressure. This is not the only thing you can do to keep blood pressure healthy and stable. Apply a healthy diet or hypertension food, and prevent hypertension. Hypertension is one of the diseases that appear secretly. It is difficult to know someone has hypertension, without measuring blood pressure. To find out someone has hypertension, it must be seen from the results of blood pressure measurements. Normal blood pressure is less than 120/80. The first number of measurement results shows systolic blood pressure, then the next number shows diastolic pressure. Blood pressure between 120-139 for systolic numbers or 80-89 for diastolic blood pressure. Stage 1 hypertension. 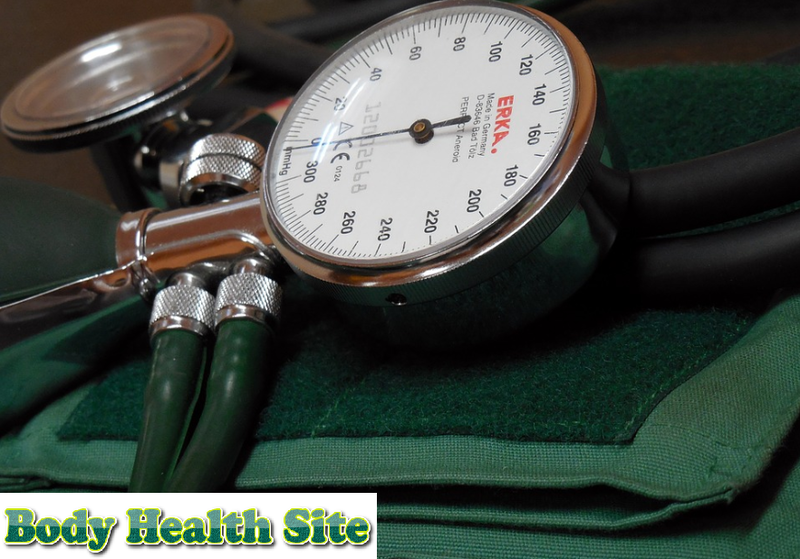 If your systolic blood pressure is 140-159 or your diastolic blood pressure is 90-99. Stage 2 hypertension occurs when the systolic blood pressure is 160 or higher or the diastolic blood pressure is 100 or higher. Some people do not realize what they eat every day, especially the womb. For those of you who want to maintain blood pressure in the normal range, can start a habit of looking at food intake and content. Foods for people with hypertension should not include foods that contain high sodium. The less sodium we consume, the more blood pressure will be controlled. Foods that contain lots of sodium include canned foods, processed foods, and fast food. It's best to consume lots of foods that contain potassium, magnesium, and fiber to help control your blood pressure. If necessary, save your diary to measure the portion of salt in food consumed every day. If you eat packaged foods, read the label. You can make gradual changes, such as limiting sodium intake, just about one teaspoon per day. When the body has adapted, then reduce it again to about 2/3 of the spoon per day. To add flavor and aroma to your food, you can use low-sodium spices such as various natural plants or other vinegar. Do you have a habit of drinking coffee? If you have high blood pressure, now is the right time to get rid of the habit. Actually not only coffee. Tea and soda also increase blood pressure. The cause is caffeine contained in this drink. Both types of food are usually processed by preservation using salt as the ingredients. Therefore these foods become high in sodium and dangerous for diabetics. Pickled cucumbers are delicious, but the manufacturing process requires salt so the cucumber is not rotten quickly. That is why you are advised to avoid it so that your blood pressure does not increase. Tomato sauce, pasta sauce, and packaged tomato juice on the tin contain high levels of sodium. In a cup, the sauce contains more than 450 mg of sodium which can potentially increase your blood pressure. Fatty foods such as red meat, chicken skin, fatty milk, cheese, and butter, contain saturated fatty acids and trans fats. This type of fat can increase bad cholesterol, to worsen your high blood pressure. You should avoid hypertension food and replace it with a healthy diet to keep blood pressure stable. A diet that is highly recommended to reduce high blood pressure is DASH (Dietary Approaches to Stop Hypertension). Increase nutrient intake from whole grains, fish, poultry, and nuts. Also increase the consumption of fruits, vegetables, and low-fat dairy products. Reduce salt, red meat, sweet foods, and sweet drinks. Reduce foods high in saturated fat, cholesterol, and trans fat. Low-fat milk is very rich in calcium and low in fat is a powerful mixture of substances to help reduce your high blood pressure. Use yogurt as a substitute if you don't like milk. This one fruit will help lower your blood pressure because it contains nitrates. Some studies have shown that beet juice can reduce blood pressure in just one day and night. Wheat is one of the foods that can reduce blood pressure. Because these foods are low in fat, high in fiber, and low in sodium (salt). One of the benefits of bananas is that it is rich in potassium which is good for keeping your blood pressure stable. You can just eat bananas or mix it into oatmeal as a breakfast menu. Choose fish that contain omega 3 fatty acids, for example, salmon. Omega 3 fatty acids will help lower your blood pressure. The content of polyphenols found in olive oil helps to reduce blood pressure. Avoid hypertensive foods and apply a healthy diet to keep your blood pressure stable. In addition, do regular blood pressure measurements. Try using a blood pressure meter that can be done at home. Consult this at a visit to your doctor if there is a change in blood pressure. 0 Response to "Food Conquering High Blood Pressure"